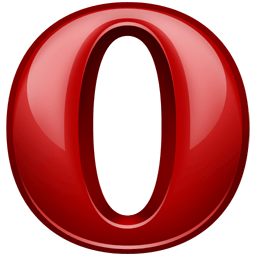 Opera 12 is the latest version of the browser available that used the Presto layout engine. Moving forward all newer versions of Opera rely on the Blink web browser engine developed as part of the Chromium project and thus, the same rendering engine used by Google's Chrome. New, lightweight themes make it easier to customize the browser. Install or change themes at the click of a button, without restarting the browser. The themes gallery can be viewed here. Opera 12.00 will include changes in the Opera Presto 2.10 engine up to core-integration-point 289. WebRTC Initial support for real-time communication has been added. Allowing the source of HTML5 video to be set to the user's webcam. We have added basic touch support for Opera in Windows 8 Classic, so you will be able to scroll, zoom and browse pages and elements easily. As an extra bonus, touch support also works on Windows 7. Meanwhile, our Mac users will enjoy using the new capabilities of OSX Mountain Lion with Opera. You are now able to use Mountain Lion's built-in share function, using the new Share button in Opera’s address bar, as well as seeing Opera notifications in the Notifications Center. As discussed in our blog post about Heartbleed, the standalone autoupdater for Opera 12 on Windows was vulnerable to a Heartbleed attack from someone who would be in possession of a valid Opera certificate. While fixing this, we also found another issue with our autoupdate on Windows which might be exploited by someone in possession of such a certificate. Successful exploitation, which would require using a third, unrelated bug on Windows, could allow a mischievous man in the middle to run arbitrary code on the computer. Opera 12.17 is therefore a recommended security upgrade on Windows. While it is unlikely that someone has gained access to a certificate of ours, we cannot rule out that some foreign intelligence agency has done so, and we want to be on the safe side.